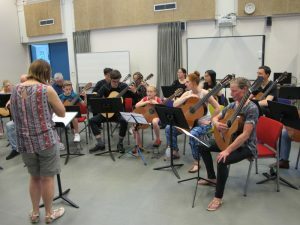 In the Ascension Hollidays, on Saturday,1st of june, the Ensemble Festival will take place in collaboration with EGTA. Making music all day together with others. Just like last year, there is not one ensemble, but no less than five ensembles are formed. 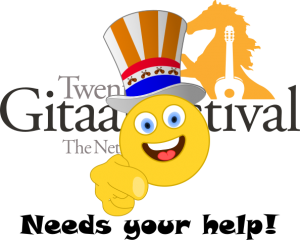 A festival for guitarists of all levels, so also for guitar teachers! Divided over five ensembles that day is rehearsed under the guidance of experienced ensemble directors, we also have a musical surprise for the participants. To conclude, there is a concert at the end of the afternoon. The five ensembles will hear what they have worked on together that day. You´ll sign up up individually for the Festival Ensemble. On the basis of the completed questionnaire you will be assigned to one of the ensembles. The sheet music will follow by mail. Keep an eye on the website before the start of the applications. This can be done via the EGTA website. In the evening at 8 pm the concert of the legendary Duo Assad takes place. If you are a guitar lover, you do not want to miss this concert! More information about ticket sales will follow soon. The costs to participate are € 15 p.p.